It was a busy day yesterday, a complete overwhelm of colours, shapes, patterns, people and design items…wow! I couldn’t talk or walk anymore.. But the buyers day is a much needed part of the expo, as one has the time to meet and greet, to look and gape at all the creativity around. Yes some exhibitors are always there with similar styles as the previous years, as this is their opportunity to sell their products, but for me the beauty lays in the discovery of the unexpected and fresh. There is something in the air that makes one want to be part of, inhale it and immerse in it. Here are some first impressions as well as items that stood out for me, some to include in my online shop and wholesale catalogue. Help the ones in need! Its the time of the year where everything around me is filled with Christmas decoration and people are talking about the end of year holidays. For me Christmas in the summer time is not the real thing and I enjoy it more being in the cold of Europe. However Christmas is the time to share the love and help the ones in need. Living in Cape Town the reflection on life and how important it is to support the less privileged is very strong. Coming from a cocooned life in Germany, its a real eyeopener and the longer I live here the more I cherish the importance of being part of this beautiful country, its diversity and the challenges it comes with. The 6th December is the day of the “Nikolaus” in Germany – nowadays its been celebrated mainly for the joy of children. Nikolaus was a Greek Christian bishop known for miracles and giving gifts secretly. He died on the 6th of December – now he is remembered as the patron saint of little children, sailors, merchants and students. By giving presents on this day the religious families kept Christmas as the time for remembering Jesus and being grateful. Today parents are hiding presents in their children’s shoes and keep the mystery of Nikolaus alive, whereby each child has to clean their shoes and leave them overnight in front of the door to find their presents the next morning. This is the perfect occasion to share some information about a few charity organizations based in South Africa that are worth supporting throughout the year, but especially for Christmas! Over the years I’ve been in touch with all of these in some shape or form and can assure you that your donation and support of any kinds will be going directly into the needs of their cause and will be greatly appreciated. Bright Start – An Education Support Programme that offers a brighter future to previously disadvantaged children, by placing them in prominent local schools with proven excellent educational standards. They provide ongoing support and guidance through the programme to ensure the child reaches his or her full potential. For more information click here. My Life Foundation – A place where youth otherwise trapped in unemployment, poverty and hopelessness, have the opportunity for healing and to be skilled into sustainable and inspired members of society, contributing to economic development and a peaceful society. For more information please click here. Sisters Incorporated – A refuge and home for abused women and their children. The residents have access to counseling and assistance in legal advice, medical care and all that’s necessary to empower them. Offering schooling and skills training programmes in order for them to find their own place in the community and our society. For more information please click here. Out of Africa (Children’s Fund) – Primary focus is to improve the quality of life for children facing life-threatening and terminally illnesses, as well as saving abandoned babies in South Africa. They support the needs of the children and their immediate family. For more information please click here. Please share, spread the love and support a good cause! Happy Nikolaus, Happy Weekend! I’ve been quite busy in the last month, as I have been working on a very exciting new project.. which I will introduce to you at a later stage, sorry.. I took that time to get some work done on the website too. It’s always work in progress and running an online shop is a challenging task, but one worth all the effort that it comes with. However I promise to post more regularly to keep you in the loop about life in Cape Town seen through the eyes of an European. 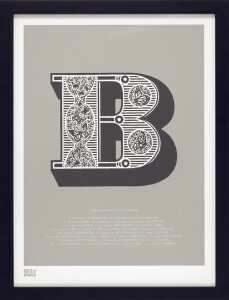 This illustrated letter is made by Bold & Noble – click here to view the other amazing creations. 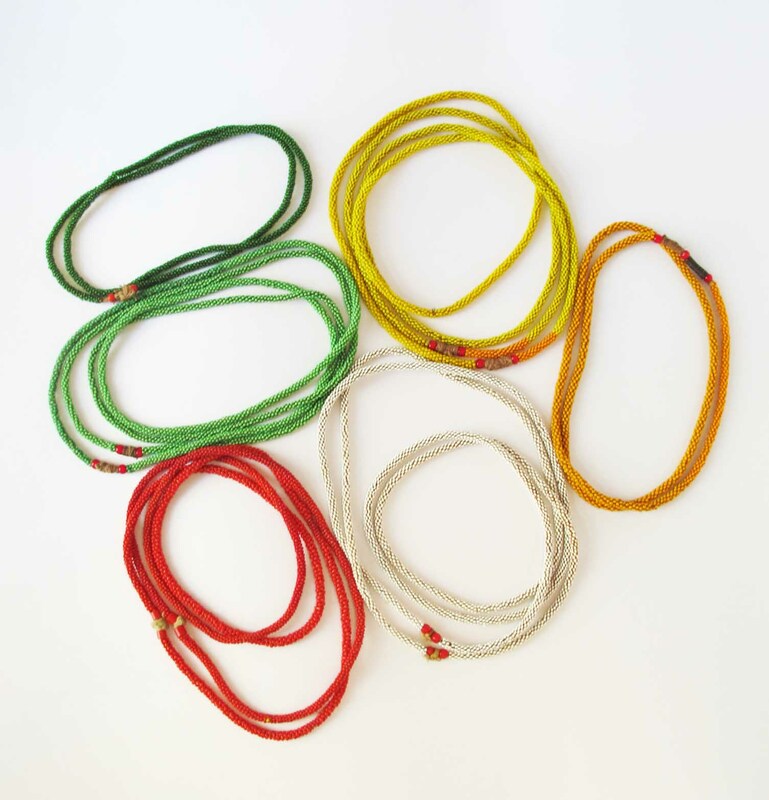 Beautiful tribal jewellery – a selection of necklaces from all over Africa now available in the store. 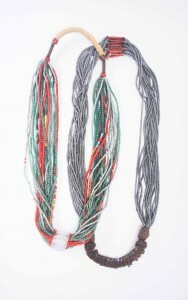 Beautiful Nupe Necklaces and other African Tribal jewellery available in the shop shortly. 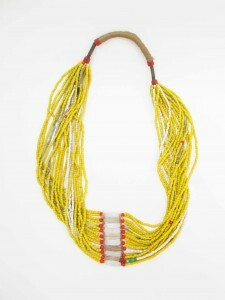 Its very exciting to see international designers combining African print and their own collections.. I fell in love with the latest Marni collection for H&M or the Burberry Prorsum Resort collection.. The latest discovery just blew my mind.. its from the Italian fashion designer Stella Jean (see next post)! 5 1/2 years ago this would have meant nothing to me.. but Car Guards are an essential part of life in Cape Town.. the Video says it all.. Cool & Hilarious!